Abib is a relatively new brand in Korean skincare, but it has been my favourite discovery for the past few months. The quality of their products has intrigued me to try more and more from them and each time it has just surprised me even more. If you’re looking for quality skincare with real and clean ingredients, gentle on the skin but with transformational results, Abib is a brand that you should try. 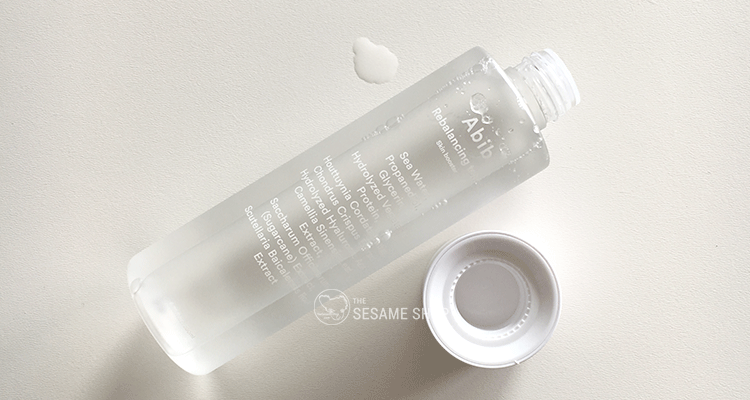 Although Abib is a new brand, their products are manufactured by CosMax, which is one of Korea’s largest manufacturers of skincare products. So they actually have solid backgrounds in the source of their ingredients and the quality of production. 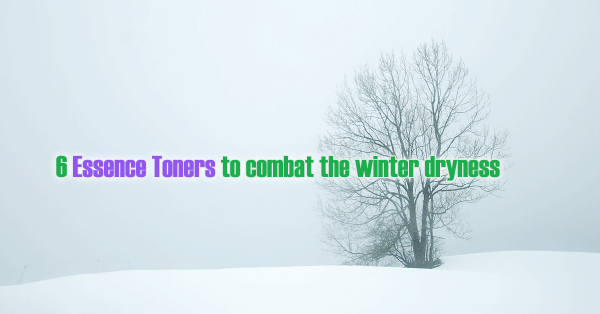 In this post, I want to introduce you Abib’s toner. We all know toner is the key step in Korean skincare, they call it “skin”, because it is the step that’s going to define your skin. 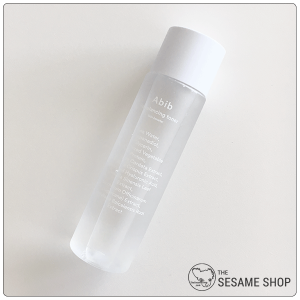 Abib Rebalancing Toner is one of the most gentle, soothing, yet highly hydrating and balancing toner that I’ve ever used. It will transform your skin without you noticing it. I think that’s what good skincare is, you shouldn’t feel anything when you apply it, but you can see the results. Abib is one of your minimalist brands, their packagings are simple and clean looking. Abib Rebalancing Toner Skin Booster comes in a frosted hard plastic bottle with a white cap. Products are dispensed through the hole on the top. It’s not your fancy frosted glass bottles, but I think it looks classy on the vanity and is weight-friendly for travelling. The first ingredient of this product is sea water and is the main carrier of this product. I was concerned before getting it, because sea water sounds drying and rough to the skin. But it is not what I’ve imagined. It doesn’t smell salty and doesn’t feel drying. 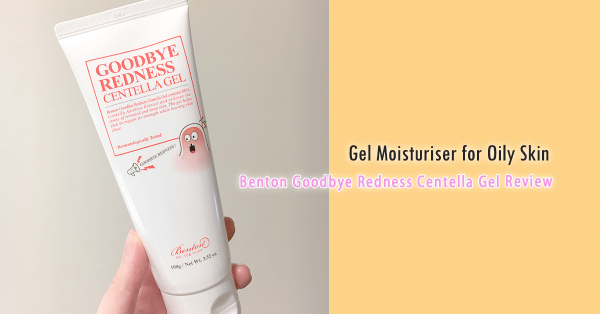 In fact, it has a very smooth and soft texture that’s gentle and soothing on the skin. I believe it’s deep sea water that is treated and purified. Chondrus Crispus Extract is the plant extract highest on the list. It is also known as Carrageen or Irish Moss, which is a seaweed rich in vitamins and minerals. It also contains my favourite Houttuynia Cordata Extract for soothing, brightening and repairing. Out of the whole list, there’s really nothing alarming. It’s basically a bottle of treated sea water with plant extracts. Most of the ingredients have an EWG rating of 1, with Green Tea Leaf Extract and Glycerin rated as 2. It has an almost undetectable fruity scent from Raspberry Ketone. As mentioned above, this toner is basically a bottle of mineral and vitamin water. It feels like water, very running but not as harsh and quickly evaporative. It doesn’t have any thickness, but feels hydrating. It has minimal slip, doesn’t feel slippery or slimy on the skin. I normally pour a little onto my palms then pat it gently all across my face. It absorbs quickly into the skin. Then I follow with a second layer. The whole application is very soothing and calming. My skin doesn’t feel any stimulation. It feels more gentle than applying water to the skin. It absorbs very quickly so I only need to pat 2~3 times. Soothed, balanced, hydrated, soft skin. I find my skin to be a lot more stable and calmed when using this toner. 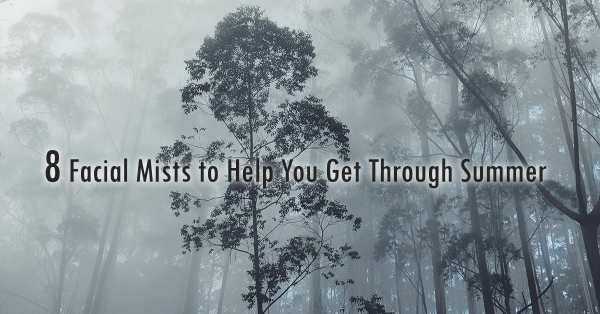 It’s adequately hydrated, but not overly sticky that causes pimples or excess sebum production. The hydration stays within the skin, make it plump and elastic. The brightening effect is slight but is there. Overall, my skin feels clear and balanced. It is in a healthy and comfortable state. Abib Rebalancing Toner Skin Booster retails for 29,000 Won (~$36 AUD) for 200ml of products. It’s a mid-range price for this type of essence toner. The bottle would probably last for 6 months at least. Do I think it’s worth the price? Yes. 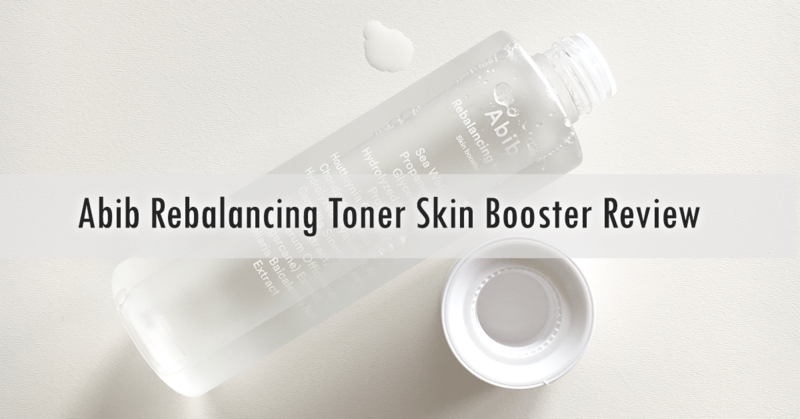 If you’re looking for a new toner, Abib Rebalancing Toner Skin Booster should be high up on your list of consideration. It would suit all skin types, especially sensitive skins. It’s simple, gentle and effective. Where to buy Abib Rebalancing Toner Skin Booster? This entry was posted in Skincare and tagged heartleaf, hydrate, Soothing, toner.